Most 10-year-old boys have a similar day-to-day schedule, but Jaden Ratto isn’t like most 10-year old boys. 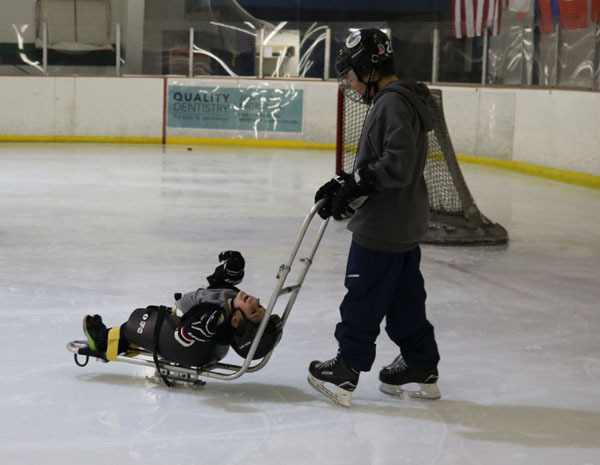 On Feb. 10, Jaden hosted a “Try Sled Hockey for Free” event at the Oak Park Ice Rink. 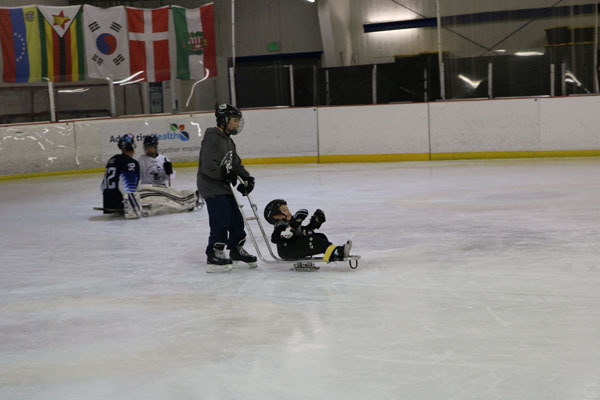 The event offered children from ages 4 to 9 a chance to learn sled hockey for free from the U.S. Paralympic Team and gold medalist Jen Lee. The goal was to raise money to purchase the sled needed for the team Jaden wishes to start. Those sleds will then be used for free by families wishing to participate. “I am really excited to see how this will work out,” said Tara Willett, a supporter. The event, according to Jaden’s mom Holly White, came about with the help offered by volunteers and sponsors. These include Oak Park Ice Rink, which donated ice time, and USA Hockey, which had paid Lee for the event. White also mentioned the fact that Lee, besides being facilitator, inspired Jaden to do this event. 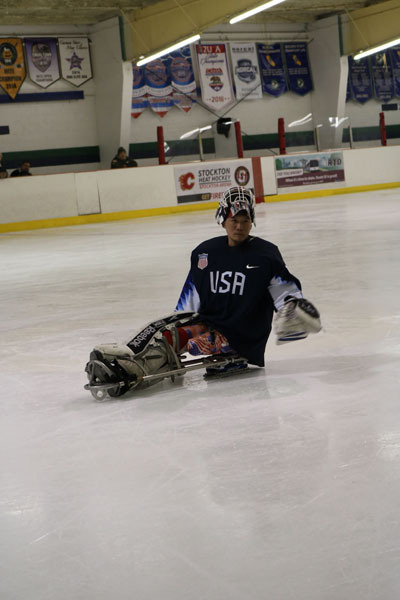 Jaden saw the documentary “Ice Warriors,” which featured Lee and the U.S. paralympic team as part of a school assignment and was impacted by a part in the documentary were the team had children with disabilities come out to try sled hockey. 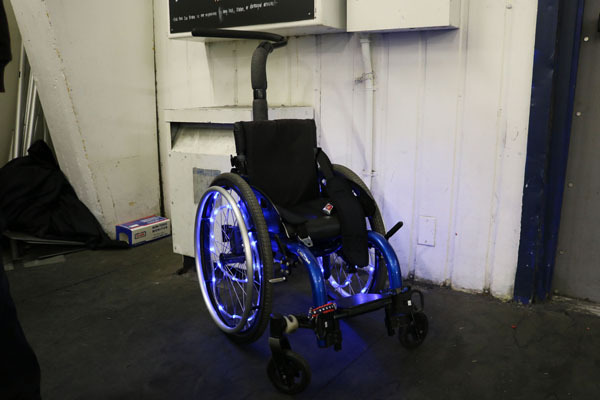 Ratto then told his mom he should have something like that for kids with disabilities, so that similar kids could learn how to play hockey too. After seeing the documentary he had searched up sled hockey near him and then the San Jose team popped up on the screen. “He emailed the couch and asked if he could come volunteer and then we started driving to Oakland on Friday nights to volunteer and then asked them if they would be willing to come up here to play against your (Jaden’s) ice team,” said Holly White. That game turned out to be Jaden’s first event which lead to the sled night. According to Rachel Pippin, a friend of the family, he is a very determined young man that gets what he wants. He wanted to do this event and came up with the funds needed for this event. “He is an incredible kid with a big heart,” said Pippin. More information can be found at the Facebook page Stockton Sled Team.